There are over 32 million WordPress publishers as of November 2010: 15.1 million blogs hosted on WordPress.com plus 17.4 million active installations of the WordPress.org software. 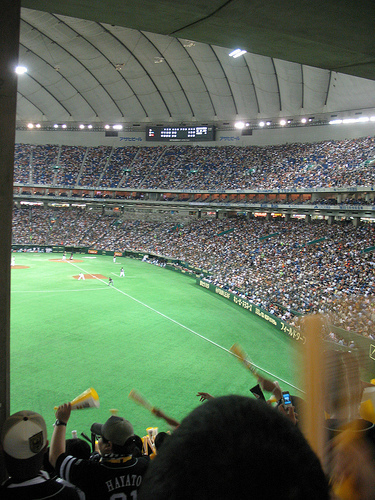 WordPress.com blogs are very popular. According to Quantcast, over 260 million people worldwide visit one or more WordPress.com blogs every month, and they view over 2.3 billion pages on those blogs each month. We host WordPress blogs written in over 120 languages. How many blog posts are published on WordPress.com? WordPress.com users publish about 500,000 new posts on an average day (and their readers leave 400,000 new comments every day). 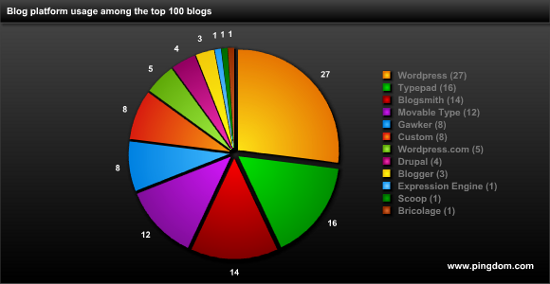 Many of the Technorati Top 100 blogs use WordPress (as a matter of fact, WordPress is the most used platform among the T100). Web 2.0 Summit 2010: Toni Schneider, "Point of Control: You"
WordPress is a prolific bit of software used by well over 25 million users in some form. 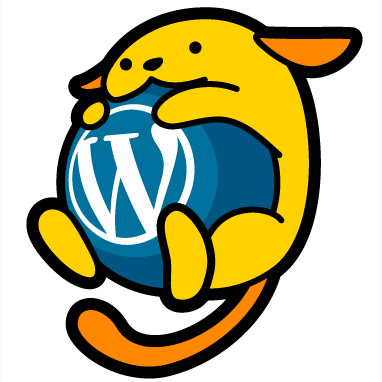 WordPress started from a very humble beginning to now power 8.5% of the entire internet. WordPress powers over 8.5% of the web, is used on over 26 million sites, and WordPress.com is seen by over 250 million people every month. Posted July 29, 2010 by Andrew Nacin. Filed under Releases.